Join us for two magical weeks of learning, exploring, and just being in nature! 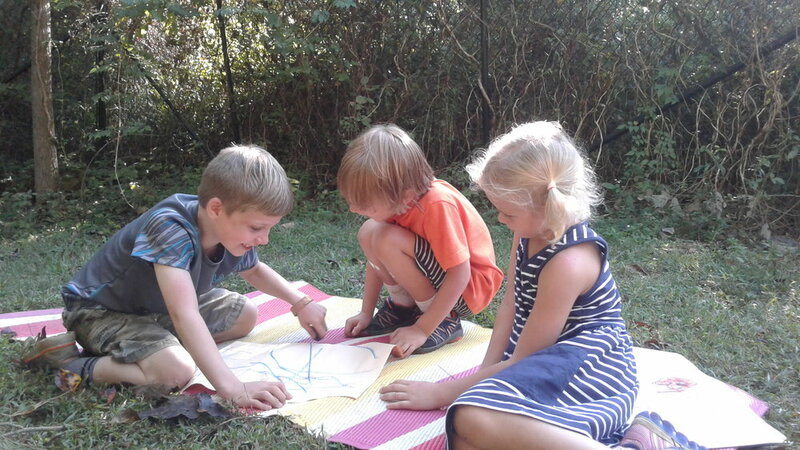 Camp is a hands on, mixed-age learning environment where children are met and celebrated where they are. The camp day runs from 9am-4pm Monday-Friday. Camp is a mixed-age learning environment and is open to children ages 4 to 12. In order to create the bonds that will allow us to adventure more safely, we’re offering a single multi-week session this year. Led by our own woodland fairy, Sonya Wood Mahler, Wilderness Skills camp will be full of crafts, games, outdoor play, and nature-based learning. Our warm, enthusiastic camp staff are highly qualified and thoroughly trained to include CPR, first aid, and aquatic first response certifications. 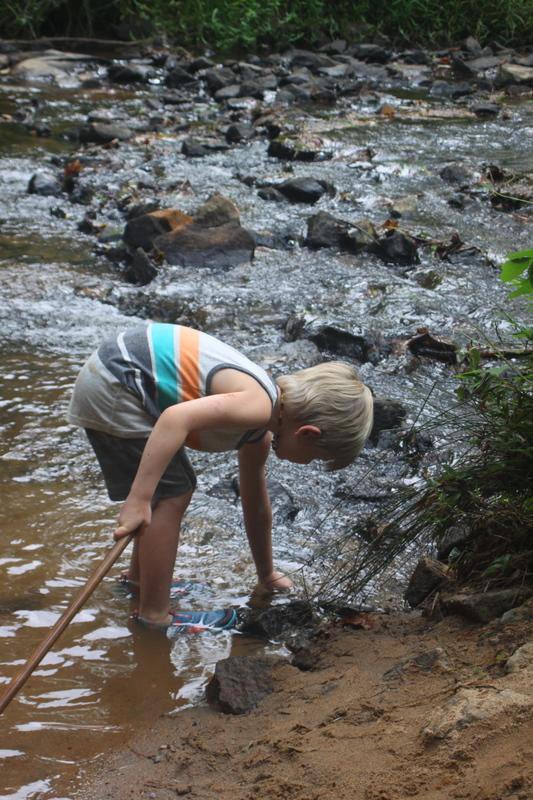 We offer a daily routine that allows children to spend time outside in nature enjoying the garden, creek, and forest playgrounds, and also to engage deeply with the natural environment and learn skills such as tracking, identifying medicinal herbs, fort building, fire starting, and more. Campers are divided into groups based on age, and the day looks slightly different for each group. Campers of all ages will enjoy songs, games, and stories, crafts, a wholesome snack of fresh fruits and veggies, and water play.